How to get there: The summit is located at 76.21.678 north, 26.20.054 west, this is a GPS measurement at the summit. Route description: Along the west ridge from the glacier, quite easy. Comments: This was a second ascent, 6 members of the team climbed this along the north-east ridge on May 20th on the way to TWMC Fjeld. I did this farewell climb in Dronning Louise Land while waiting for the Twin Otter ski-plane to come in and pick us up. The fog was closing in from the east adding uncertainty to our departure (which still took place on schedule). 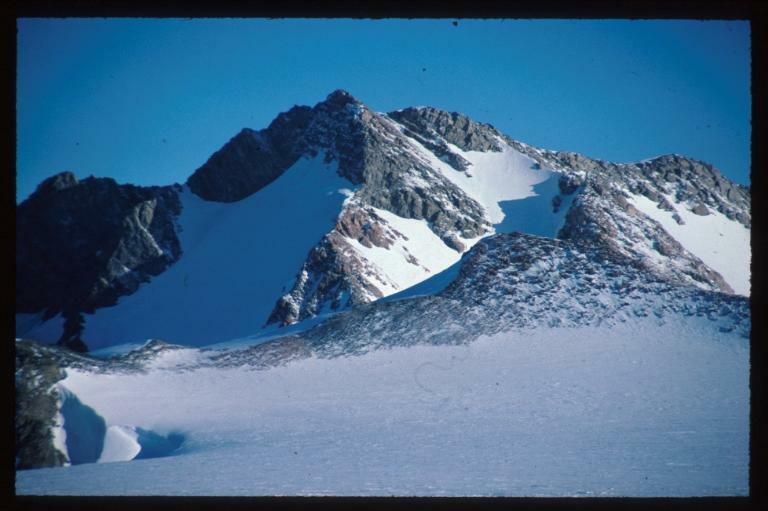 Nunatak Dent in the foreground with TWMC behind. As can be seen it is a rather small piece of rock.